Antritis – an infection or inflammation of the sinus cavities above and below the eyes. Antritis is a typical disease that happens regularly for millions of people around the world. 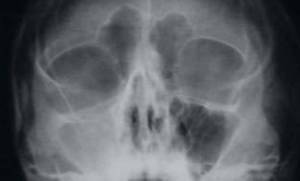 Antritis is usually affects the frontal, maxillary, paranasal sinuses and ethmoid sinuses, wedge-shaped sinus. Air, pus or other secretions, such as sputum, gathered in the sinuses, causing pressure on the sinus wall, inflammation, swelling and edema. A bacterial infection that often occurs as a problem of viral infection. It is brought on by numerous bacteria (pneumococci, streptococci, staphylococci). Possible viral antritis (caused by bacterias of influenza, parainfluenza, adenovirus) and mycotic. Antritis is frequently preceded by severe respiratory infections, severe nosebleeds, dental disease, bathing in contaminated water. Infection in the sinuses can be accessed through the nose, through the blood. In some cases antritis might occur due to allergies. Some kinds of bacteria that are known to trigger Antritis include staphylococci, streptococci, and pneumococci. In the sinus cavities, mucous membranes become inflamed and inflamed after rhinitis settles in after a viral infection. Eye pain, blurred vision, soreness of the face around the eyes. Inflammation of the membranes of the brain (meningitis). Osteomyelitis (bone loss around the purulent sinus). See your doctor if the condition worsens or symptoms persist for a long period of time. Consume plenty of fluids to thin the mucus. If you are a cigarette smoker, stop smoking right away. Smoking irritates the mucous surface area of the sinuses and makes them vulnerable to infection. Quit alcoholic beverages: they can cause swelling of the mucous membranes in the sinuses. Inhalation may relieve some of the state. If you have Antritis, your primary treatment objective will be to decrease swelling in the sinus cavities and enable a better drain flow of mucus. What expect from a doctor? The doctor ought to make a medical diagnosis, which may need assessment (X-ray evaluation of the sinuses and some tests). Write out the necessary medicines, sprays and drops of nasal blockage, decongestants, antibiotics, painkillers or antihistamines. Doctor may recommend surgery when all other means are not helping or observe the formation of nasal polyps. Wash your hands regularly to avoid getting an infection. Do not smoke, since smoking cigarettes can cause inflammation of the sinuses. Do not drink alcohol, due to the fact that it might cause swelling of the sinuses. Avoid cigarette smoke and contaminated air, as it causes irritation of the respiratory tract. Avoid the formation of scar tissue, and avoid permanent damage to the tissues lining the nose and sinuses. At first while being dealt with for acute or chronic antritis, you might start to feel better from antibiotics and home treatment, however often your symptoms worsen and additional treatment might be needed. Short-term (acute) antritis usually lasts less than 4 weeks. Approximately two-thirds of people with acute antritis improve on their own without antibiotic treatment. Sinus infections are frequently triggered by viral infections, which do not react to antibiotics. Talking with your doctor will help you figure out whether treatment with antibiotics is required for your acute sinus infection. Most individuals recover totally when treated with an antibiotic for acute antritis that is brought on by a bacterial infection. The variety of days you take antibiotics depends upon the antibiotic and how bad the infection is. When you are recommended an antibiotic, make sure to take it up until it is gone, even if you feel better. Always take an antibiotic exactly as your doctor informs you, or the infection might not disappear completely. Antritis that lasts 12 weeks or longer is called chronic antritis. It is more difficult to treat and responds more slowly to antibiotics than severe antritis. Antibiotic treatment is typically recommended for chronic antritis and may need a longer course of treatment. You may need to attempt more than one antibiotic. A corticosteroidnasal spray that lowers swelling and swelling of the lining of the nasal passages may also be made use of during treatment. In some individuals, a sinus infection may be triggered by a fungi or a germs other than those generally associated with antritis. People who have a damaged body immune system are at risk for these uncommon infections. It likewise may consist of people who have to utilize an oral or inhaled corticosteroid medicine (such as prednisone). Fungal antritis, which represents a considerable variety of chronic antritis cases, does not react to antibiotic treatment and may need treatment with antifungal medications, corticosteroids, or surgery. Surgery may be needed if you have actually taken antibiotics for an extended period of time but still have symptoms or when issues (such as infection of facial bones) are most likely. Home treatment might ease symptoms of pain and pressure related to short-term (acute) antritis. 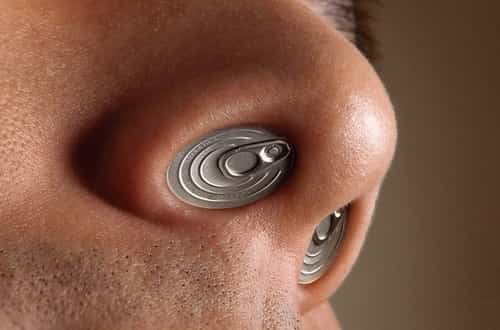 Home treatment might improve drainage of mucus from the sinuses and prevent the need for antibiotics. Consume plenty of fluids to help keep your mucus thin. Apply damp heat (making use of a hot, wet towel or gel pack) to your face for 5 to 10 minutes, a number of times a day. Breathe warmer, moist air from a steamy shower, a hot bath, or a sink filled with hot water. Avoid incredibly cool, dry air. Think about using a humidifier to enhance the moisture in the air in your home. Usage saltwater nasal washes(saline lavage or watering) to assist keep the nasal passages open and rinse mucus and bacteria. You can purchase saline nose drops or sprays at a drug store or make your very own saline solution at home. If you make saline at home, utilize pure water or water that has been boiled and then cooled. Individuals who have postnasal drip camera.gif and are around age 8 and older might likewise discover it valuable to gargle often with warmer salt water. This can assist prevent a sore throat. If you have to blow your nose, do it carefully. Strong blowing might force thick mucus back into your sinuses and obstruct them. Keep both nostrils open when blowing your nose. Quit alcohol. It causes swelling of the tissue lining the nose and sinuses. Attempt non-prescription medications to alleviate pain or stuffy nose. Be safe with medications. Read and follow all instructions on the label. Do not use the medicine longer than the label states. If you have chronic antritis, you’ll probably have to continue the above home treatment measures for an extended period of time to keep your sinuses clear.